Below I will provide an overview of the main findings I am able to pick up on from my survey results. This overview is just part of an exploratory exercise and not meant to be conclusive. Obviously my methodology & considerations I discuss in greater detaill on this page should also be kept in mind! In regards to the match strength with the USA the three top ranking countries are Guinea (Fula), Madagascar and Nigeria (Igbo). Especially one Fula person from Guinea as well as two Malagasy survey participants received an amazing number of USA matches. 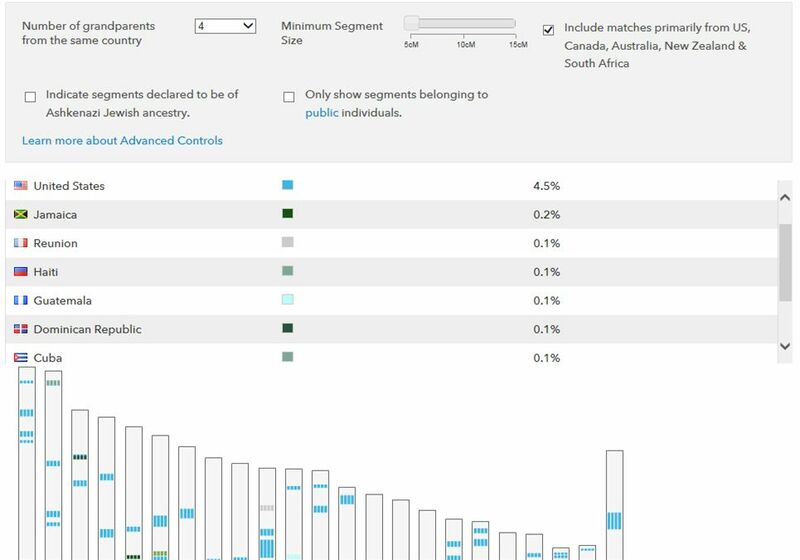 Often also with a large shared segment size. Their minor European admixture might be a factor (see considerations). But I suspect not decisively so as the shared segments I was able to verify myself were either African or Asian in chromosome view. For the Fula person it may also very well just represent mislabeled North African DNA. My Igbo survey participants also received many USA matches, strikingly more so than Nigerians of other ethnic background in my survey. Intra-African matches were reported quite frequently for most of my African survey participants. Even when the number of Africans in CoA’s database must have been very small in 2015! This includes matches from the same African country, matches from neighbouring African countries and in a few cases matches from unexpected countries in other parts of Africa, geographically far removed. When set at 5cM these presumably population matches become even more apparent. This outcome may hold some far-reaching implications. Afterall if a Kenyan is able to get a Zimbabwean match seemingly due to the genetic legacy of the Bantu Expansion from many centuries or even several millennia ago might then also likewise African Americans receive Kenyan matches due to shared Bantu origins from Central Africa (Angola/Congo)? In a recently published research paper it was revealed that Angolans were having IBD matches with people from South Africa and also from Kenya/Uganda! This entry was posted in 23andme, African Americans, Anglo Caribbean, Brazil, Cape Verde, Congo, DNA Matches, DNA Testing, Ghana, Hispanic Americans, Igbo, Nigeria, Sierra Leone, Yoruba and tagged DNA results. Bookmark the permalink. Sadly no matter how often i check, 23andme has been 0% helpful for me when it comes to finding african matches, Literally all my matches are United states and canada and maybe abit of carribean matches. 23andme has no problem matching me with european’s and other AA’s. Very Nice! I can verify that the European that the fulani’s have is not real. 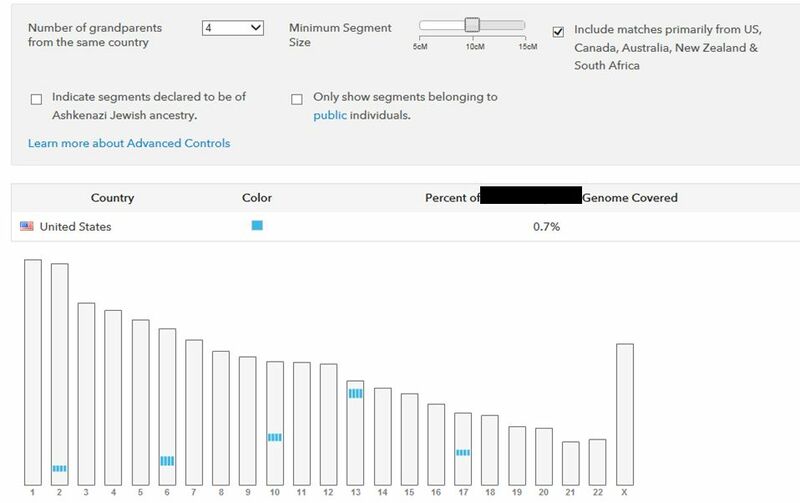 Back in the day on COA I could not find a single full european match that matched in any of these “euro” segments, while I found some highly euro relatives they all had 0.5 – 2% west-african admixture. Its gotta be north-african bleedover. Yeah, I think so too, it’s pretty standard for Fula people to get such scores and this particular guy on 23andme also isn’t aware of any distant European lineage. I have had an intriguing discussion about this topic with a very knowledgeable Fula friend of mine who tested with Ancestry. He scored 3% “Iberian Peninsula” and <1% "Europe South”, similar to other Fula results I've seen. And most likely just North African (like) DNA which is being mislabeled, just like on 23andme. I will post an overview of his DNA matches eventually but I can already say that out of his 6,305 DNA matches in total, I was able to filter out only 25 matches without any African regions in their profile while only a few also did not show any "Africa North" or "Middle East". 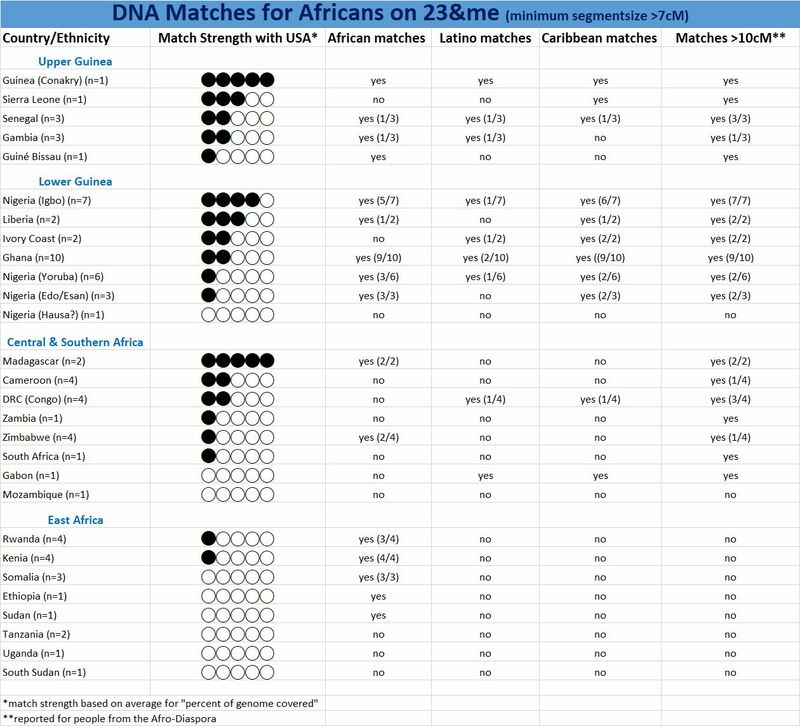 Quite astonishing in itself but some of these matches may yet turn out to be false positives or glitches due to incomplete display or perhaps they still do have diluted African admixture but Ancestry wasn't able to detect it. I believe if his European scores had been legit he would have gotten a far greater number of European American matches. For a Liberian with some Krio lineage and only <1% European admix on Ancestry I found over 500 European-American matches with no African regions at all, out of a total of 3,372 DNA matches!
" You are absolutely right, when you describe how marriages/alliances used to cement relationships between different communities. This is precisely how my father explained it to me. If we consider the fact that more importance was given to the paternal lineage than to the one of the maternal side, the circumstances were sort of reunited for these alliances to become realities. I had heard of the Creole from Sierra Leone and communities of returnees from the Afro-Diaspora in West Africa. It seems that they also had privileged relationships as traders and intermediate business "partners" with Europeans at some point. 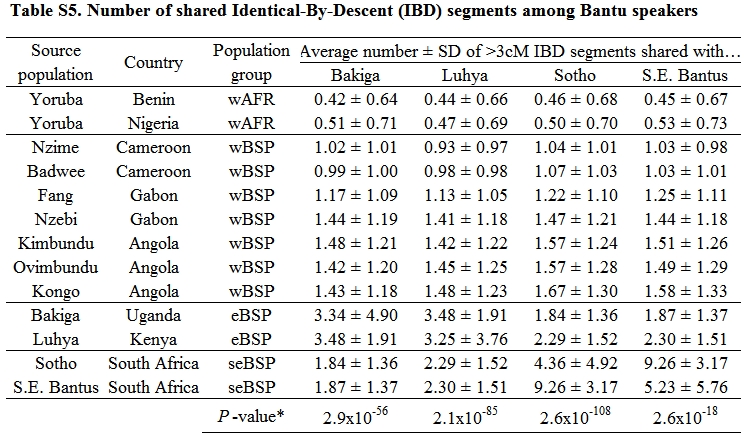 I have wondered if in one of my ancestral lines, individuals may have been integrated"
Yes, the Bakongo person from DRC Congo had many shared DNA segments with persons from the US, also at the 10cM threshold! Here are her full results set at 10cM, and 5cM.